Versailles 35mm internal glazed black doors are constructed from engineered solid timber components, to give more stability to the final door product, and reduce any problems such as expansion, twist and warp, that ordinary timber components can have. These Versailles Black Internal Doors also have 1 Glass Panels. Black Versailles Glazed Doors are manufactured from engineered door components which can include MDF, particle-board and laminated timber. 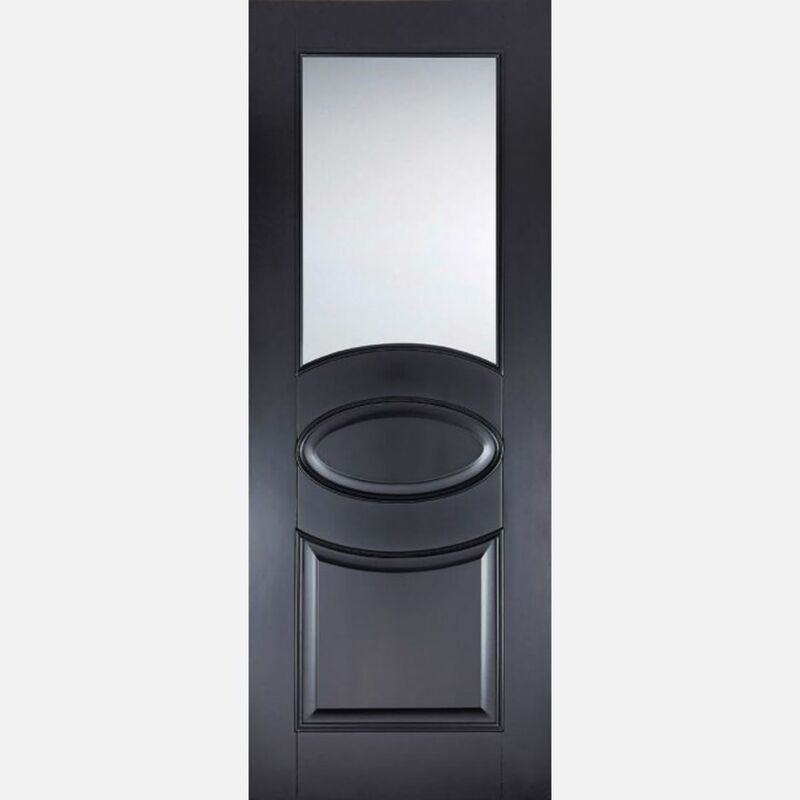 LPD Glazed Black Versailles Door Codes - VERBLAGL27 - VERBLAGL30 - VERBLAGL33 - must be treated to manufacturer's instructions. Check all component dimensions, mouldings and glazing are correct prior to any work on site; JAS Timber cannot be held liable for the consequences of any variation; We cannot exchange any door once work has commenced. - We cannot exchange Glazed Black Versailles Doors after order - LPD Versailles Glazed Pre-Finished Black Doors are supplied as a Special Order. E. & O.E. see T&C - We do try to keep prices and specifi­cations of LPD Versailles Glazed Black Doors correct, but mistakes can be made!